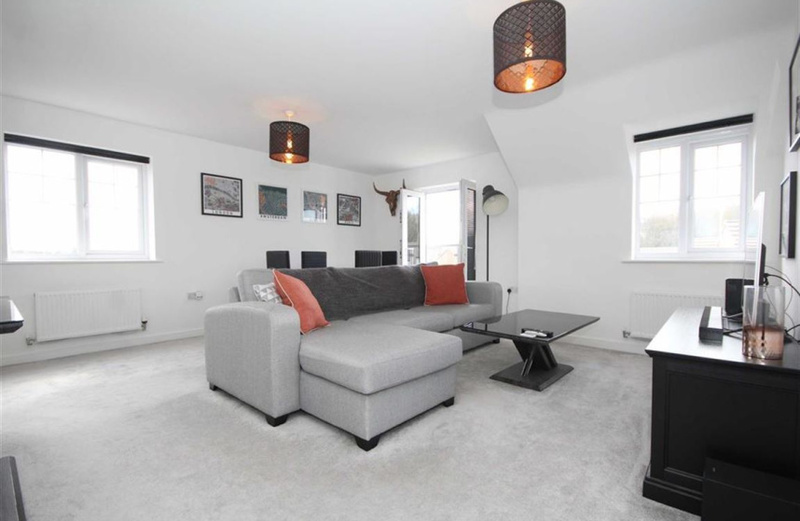 An executive top floor apartment located within the newer part of Dickens Heath at Dickens Manor, built by Bellway Homes in 2017. 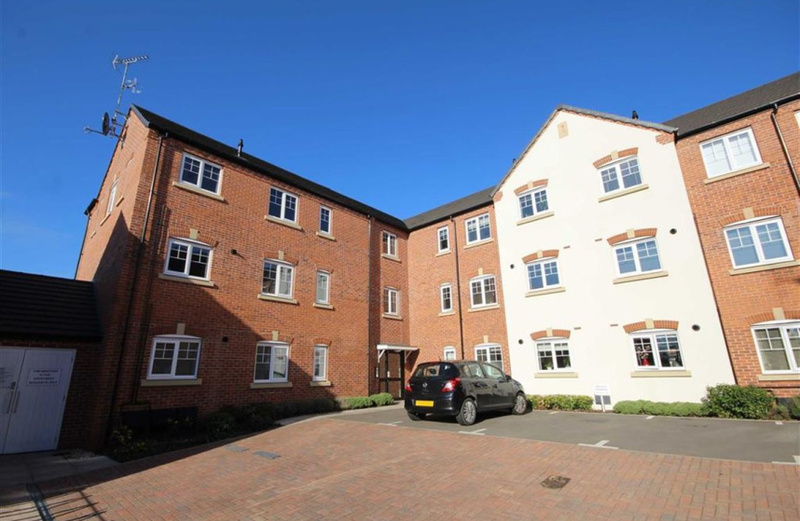 Located towards Tidbury Green, Beech Lane is a pleasant road with a mixture of houses with just one purpose built apartment block at Dickens Manor. 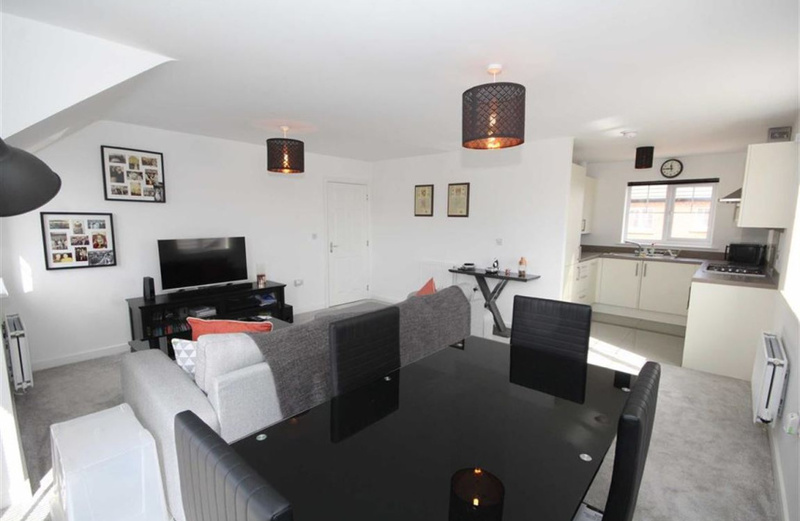 The surroundings are peaceful and tranquil, with endless country roads and rural views further afield, whilst remaining only a short walk into Dickens Heath village centre for all the amenities and restaurants/coffee shops. 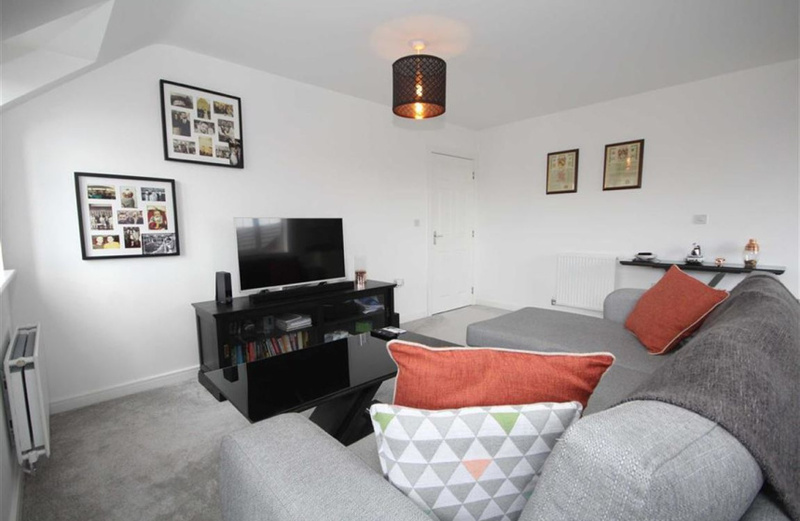 Being sold with No chain, This high specification two bedroom apartment can be sold to include all the furniture, which may appeal to a first time buyer or investor looking for something ready to go. 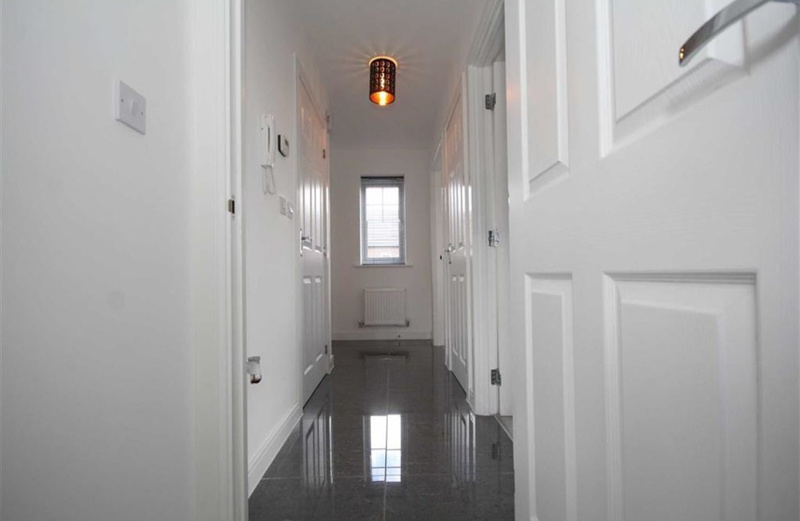 A buzzer entry, leads into a communal hallway and stairs rising to the top floor. 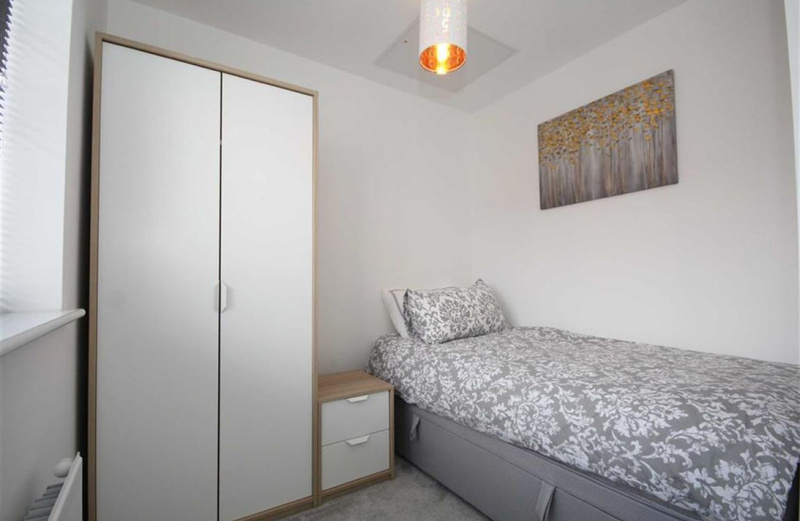 The individual apartment has a stylish L shaped vestibule, with high polished tiled flooring, which can also be found in the bathroom and kitchen area. The large reception room allows an enormous amount of natural light to fill the room due to a triple aspect windows in addition to the Juliette balcony, the windows of which have remote controlled blinds to provide privacy. 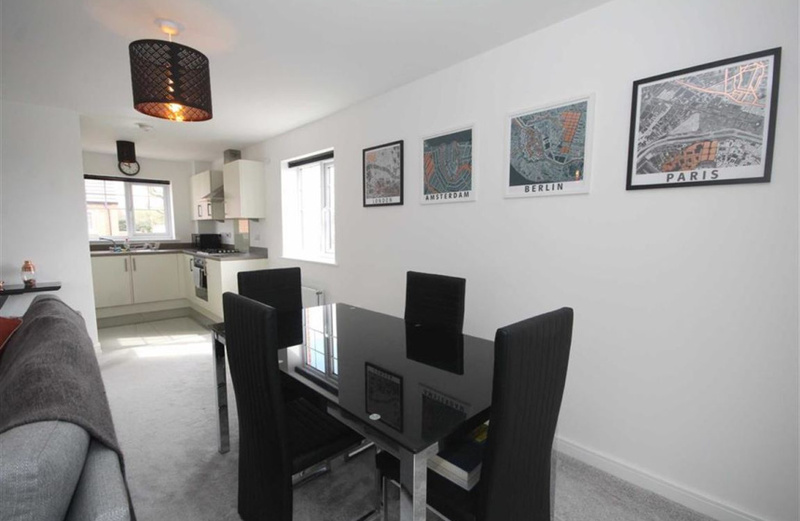 This large open plan room has ample space for living and dining furniture. The fitted kitchen, is stylish and modern. 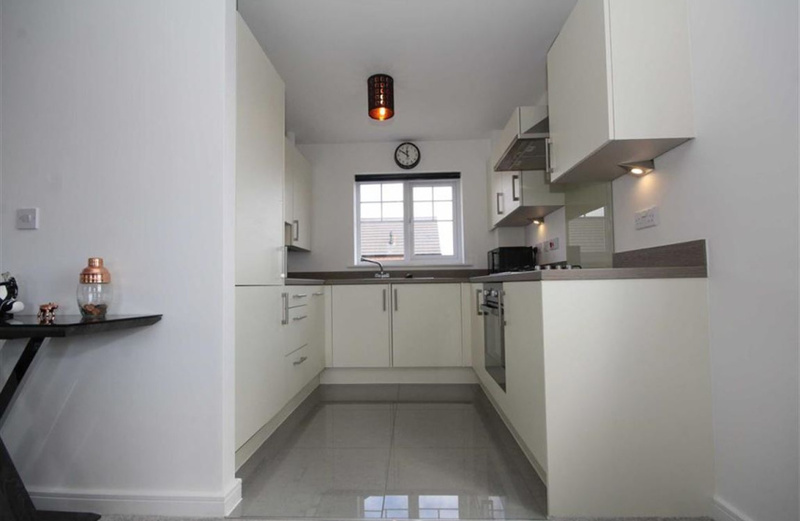 Designed with a range of cream high gloss wall and base cupboards and drawers, with contrasting worktops. 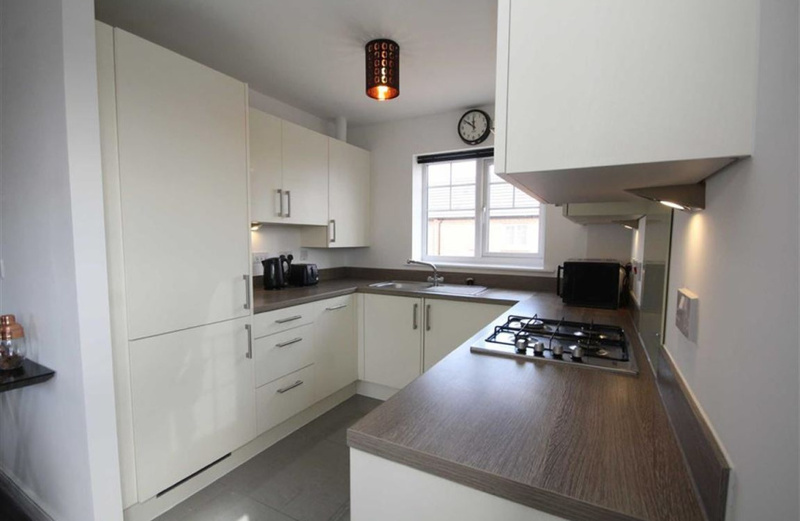 Integrated appliances include fridge, freezer, washing machine, electric oven and gas hob. 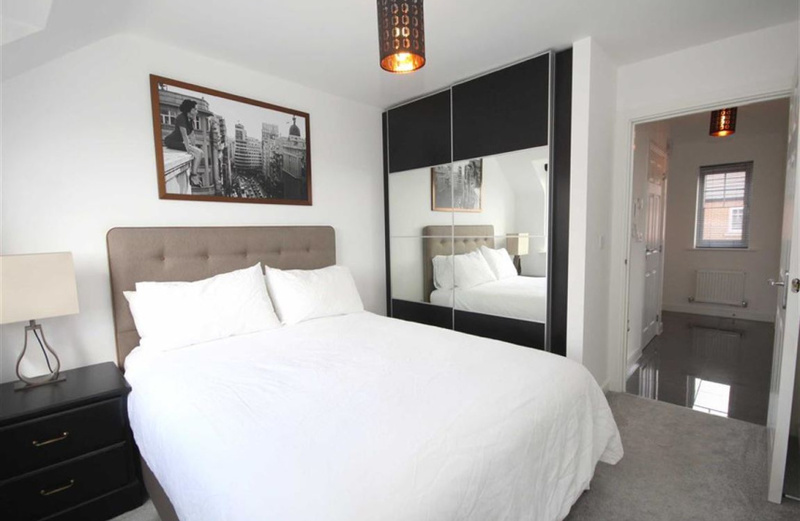 The master bedroom boasts a bright and airy room, with a double sliding mirrored wardrobe. The second bedroom positioned at the front which overlooks the courtyard parking area, is a good size full single room with space for furniture. 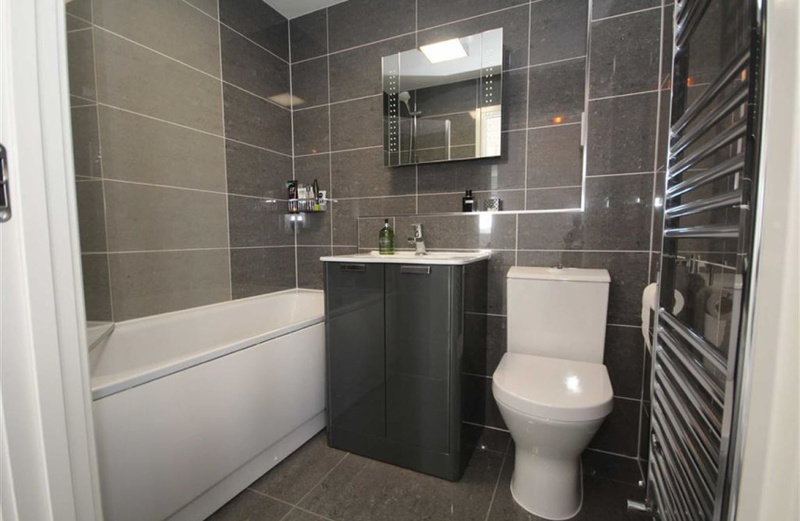 The luxury bathroom, has a contrasting grey and white suite, which is fully tiled and has a bath with shower over, sink with built in storage cupboard under, low level WC and crome upright towel rail. There is a wall mounted LED mirror, and tiled shelf for storage. Externally there is one allocated parking space, and plenty of visitor parking. Refuse bins and recycling are located in a communal lockable bin area. This is a must see to appreciate the size and specification call Wigwam on 01926 887766.